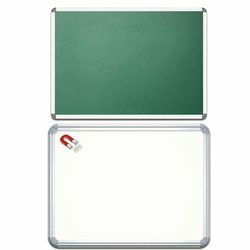 Prominent & Leading Manufacturer from Ahmedabad, we offer double sided writing board. We are offering Double Sided Writing Board to our clients. One side white and Another side green chalkboard. Looking for Double Sided Writing Board ?